Ford Global Caring Month took place in September, and Ford New Zealand got a bit of help in its task of reinvigorating the gardens of Mangere’s Kingsford School from a quartet of strapping lads: Sam Whitelock, Wyatt Crockett, Liam Squire, and Waisake Naholo of the formidable New Zealand All Blacks. 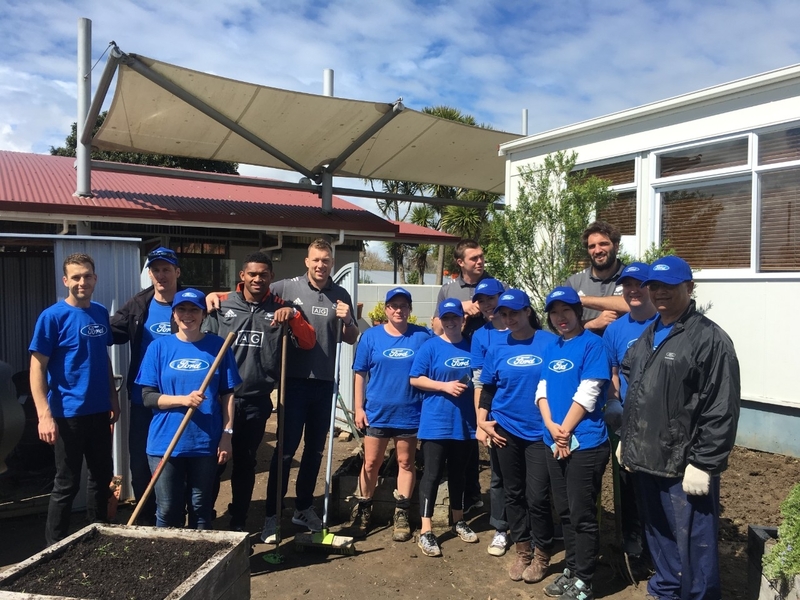 The All Blacks players joined Ford volunteers and representatives from the Variety the Children’s Charity to help spruce up the garden of the school for disadvantaged children. 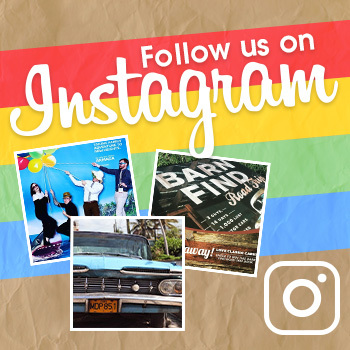 Ford undertook a number of other initiatives around the globe as part of its Global Caring Month. 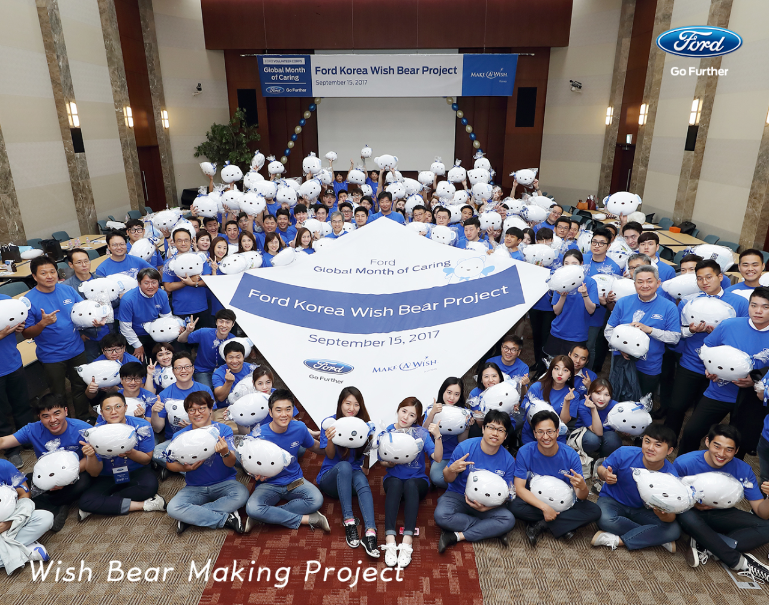 Ford Korea undertook a “Wish Bear Project” wherein Ford Korea, Ford Finance, and Ford dealership employees put together 200 stuffed “Wish Bears” for sick children at the Seoul National University Children’s Hospital and Kyungpook National University Chilgok Hospital. 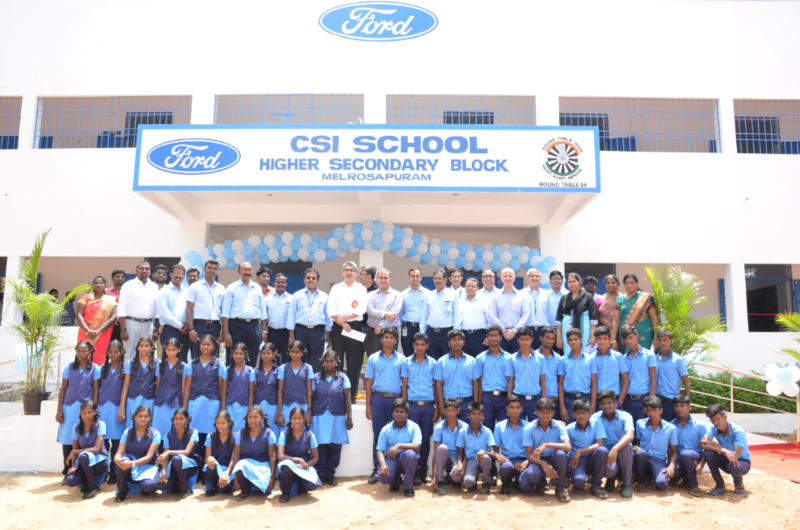 Ford India teamed with Madras Cosmopolitan Round Table to help build eight classrooms, a science lab, library, and sanitation facility for CSI High School in Melrosapuram to help further provide for underserviced children from the suburbs of Chennai.